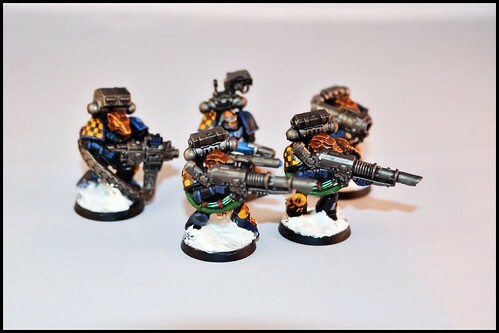 Added another couple of units to the growing Space Wolves army. 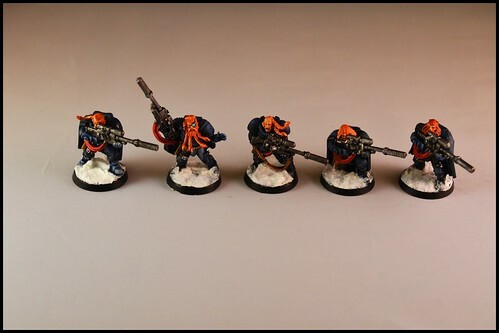 First up a squad of Long Fangs. 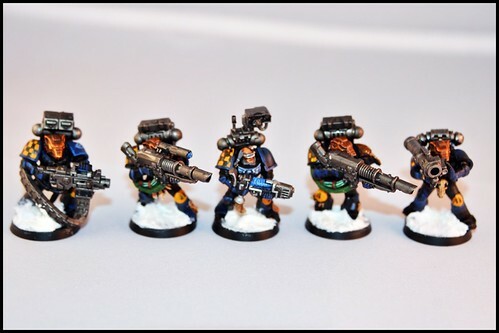 Then a squad of scouts, made from a mash-up of the scout kit, and some Space Wolf heads, have to complete the viking look to go with the rest of the army! So inbetween the other painting projects the army is slowly but steadily growing on the side. 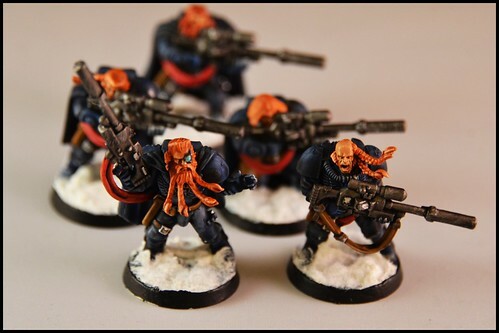 With the release of the new wave of Eldar models I have the temptation to do some of the new Wraithguard units.